Just on a first sight, you will see how long eyelashes are spot on. The mask preparation will follow the similar procedure, as an option above. 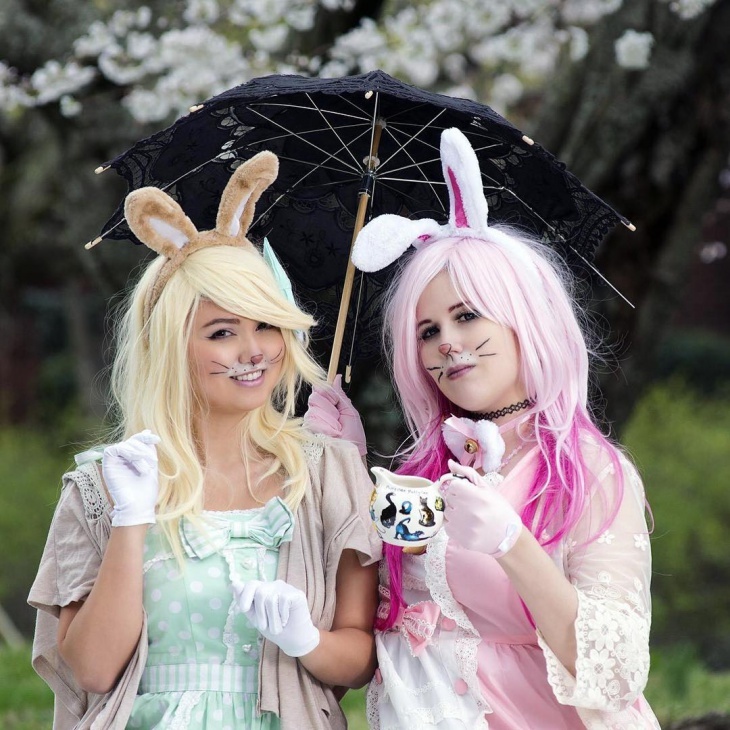 With an addition of a fur and a bunny ear you are ready to go. 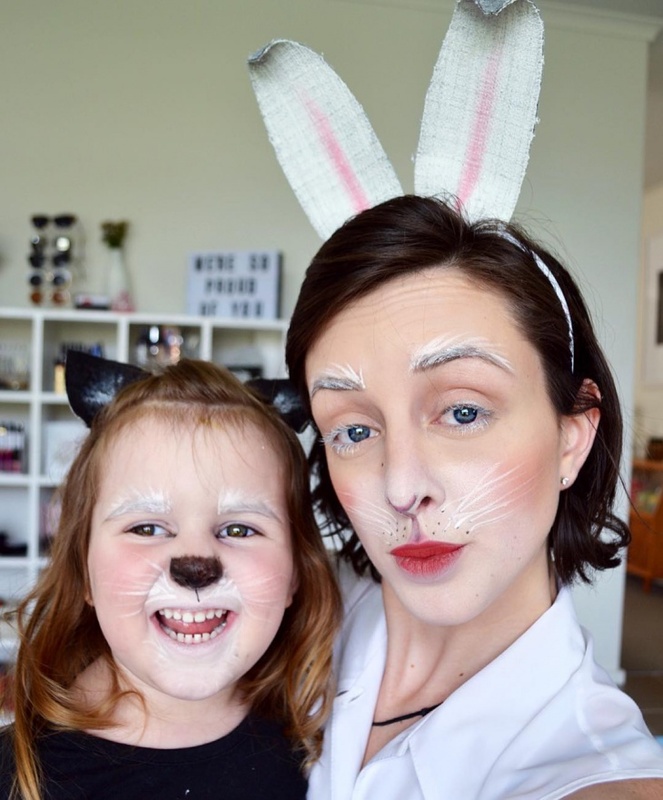 If you are preparing yourself for a celebration of Halloween night, getting funny rabbit face to a next level for this occasion will make you look similar to cat makeups. 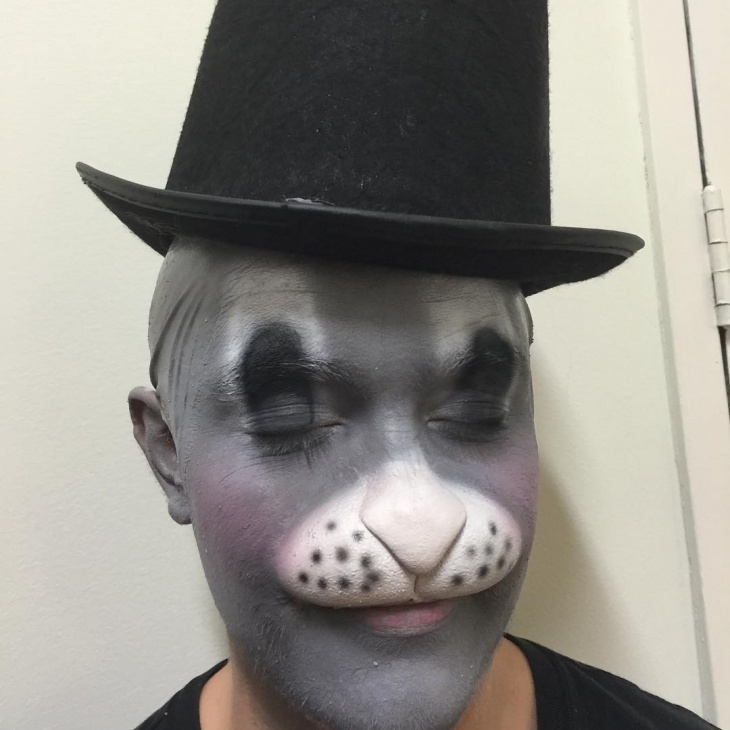 This kind of facial art will ensure good fun at the party. Have fun! Make sure you put a primer well and in an equal layer all over your face. 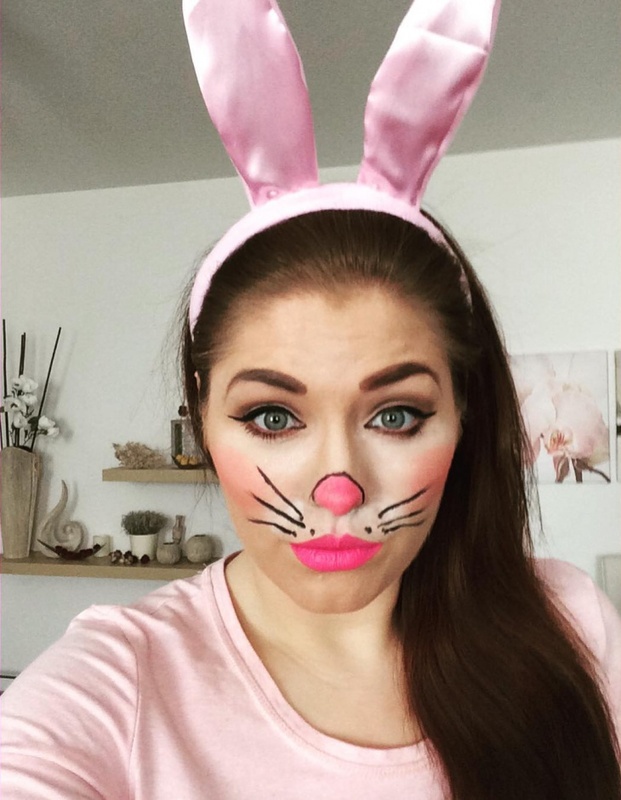 This will include eyebrows, but treat them with white mascara. After that find a black eyeliner and draw curves around your eyes, connecting them with a nice fat line going upwards on sides. 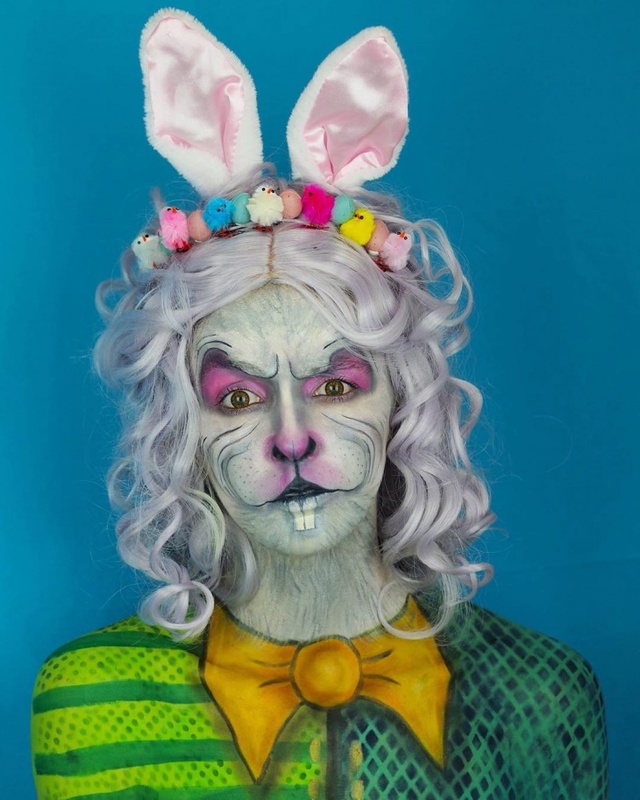 This kind of the rabbit makeup is for a novice in this area. No big effort is needed. Just plain and simple and people will still be able to recognize your friendly face. This is an ideal disguise for a party. 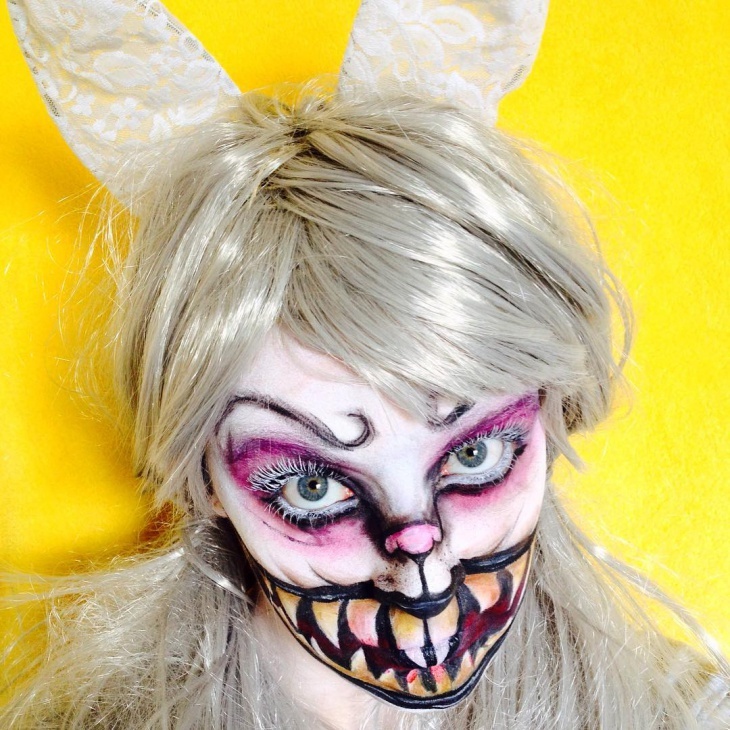 If you want to look like a freak of nature and to freak out people at the party, this is an ideal makeover of your face. It is suitable for the Halloween, apart from a Hollywood horror studio. This is a complicated mask. 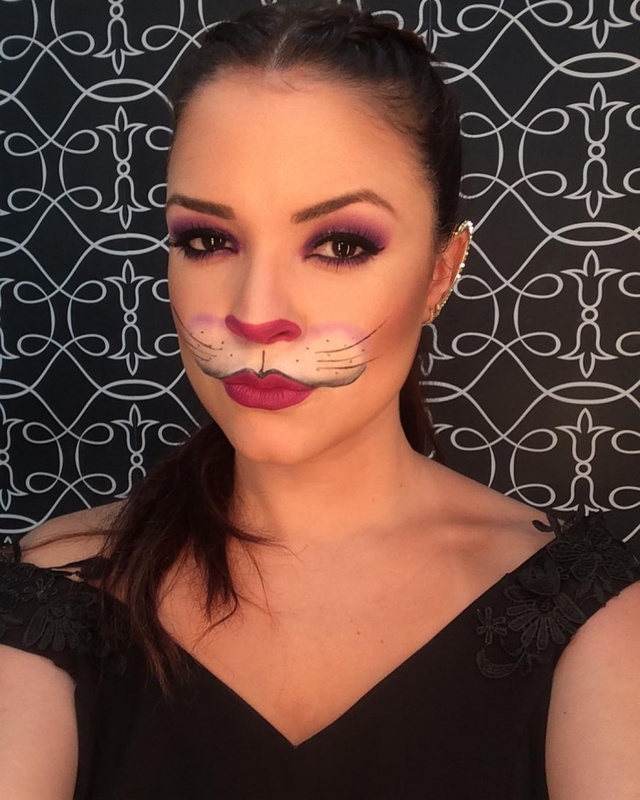 Many layers of a different makeup will require patience over hours of work and steady hand of a professional artist. 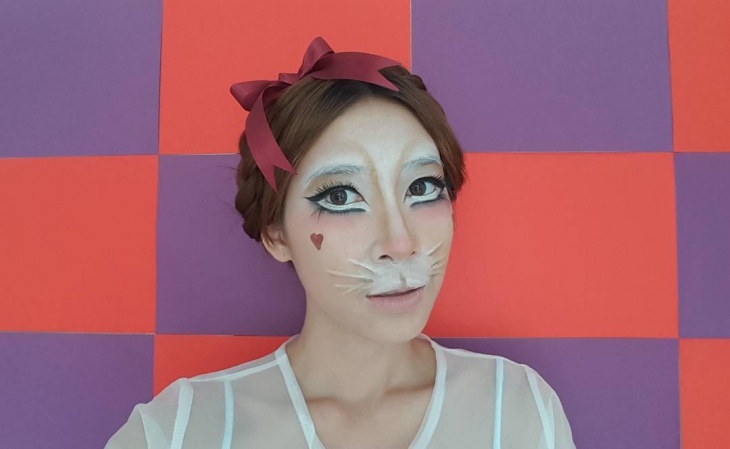 This is good preparation for a deer makeup design as next project. If you had a misunderstanding with your girlfriend the day before, think about this kind of makeup for man. This will bring a cheerful mood and if you put a flower in your hand or offer a chocolate candy, all will be forgiven and forgotten. Most of this could be done with a black or brown liner. Good luck. 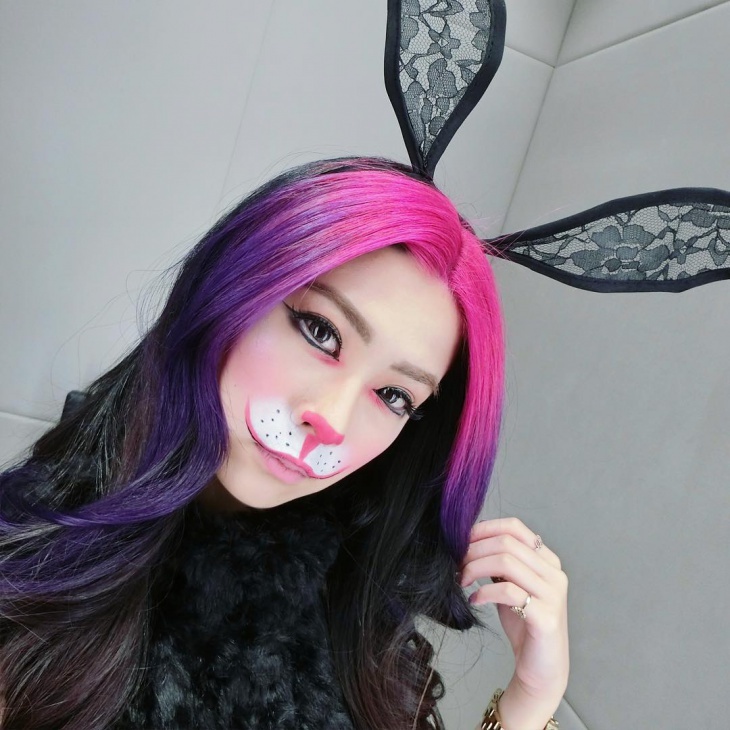 The one psychedelic make up you must try! Make sure there are no kids around, as this will spook them for sure. 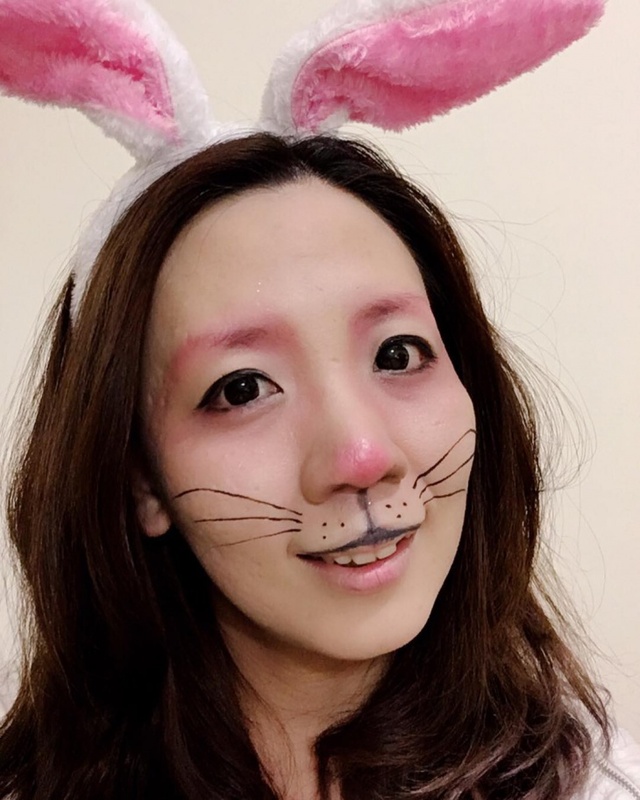 Use pink liner to highlight the muzzle, add two ice cream sticks with a pointed end to emphasize monster teeth and you will get your bull’s eye tonight. 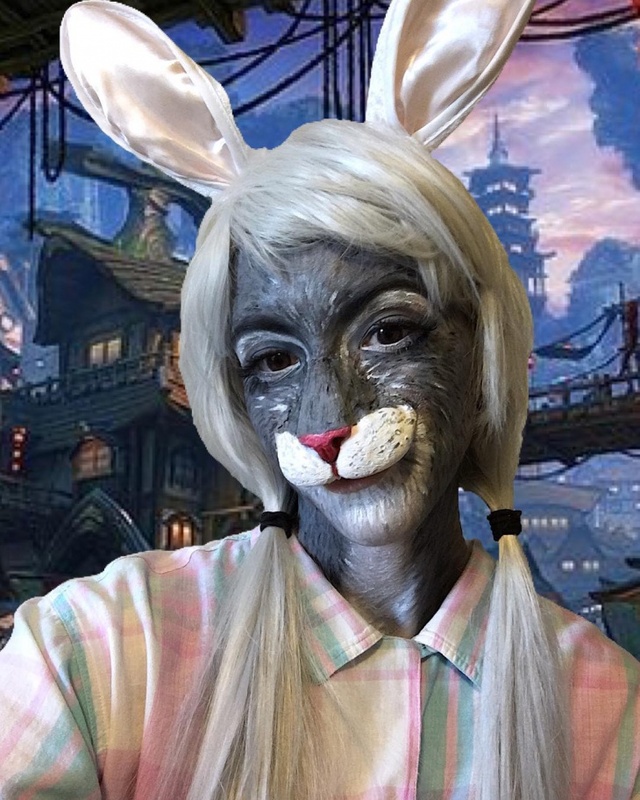 A good example that you can do trendy and realistic rabbit makeup with the power of your imagination. You will look pretty, even a bit vulnerable. 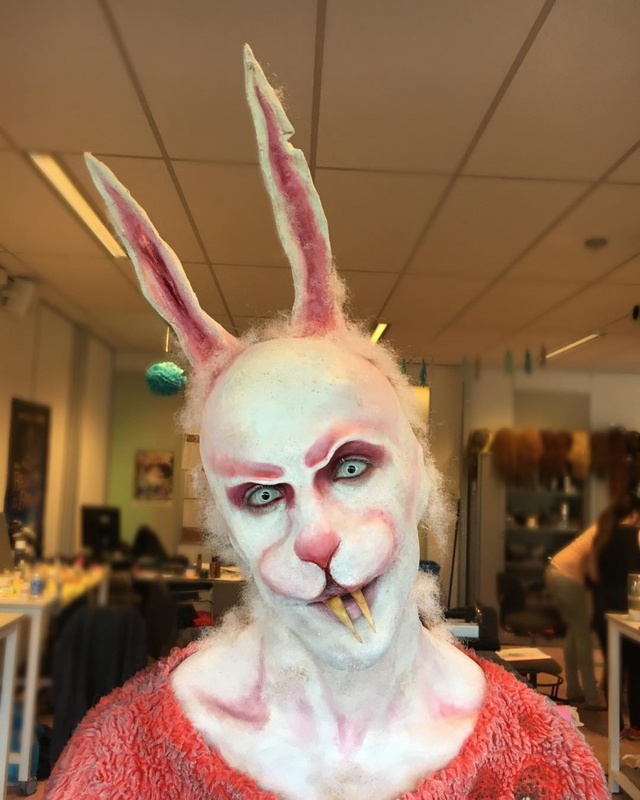 Don’t forget to make this fluffy bunny ears straighten up. When it comes to an extreme, this evil rabbit design will give you the edge. If you are not skilled enough to do it on your own, you better let a professional to take over this kind of a bit complicated design. No doubt, you will raise everyone’s hair on the neck. As usual, we have saved the last and the best for the last. 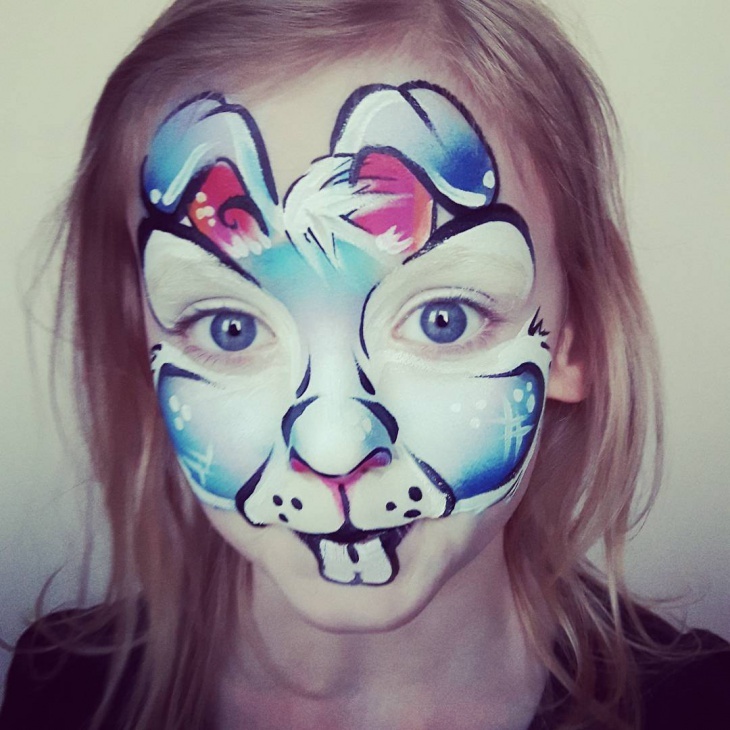 Can you look at this cute example of wonderful kid’s makeup without a smile? 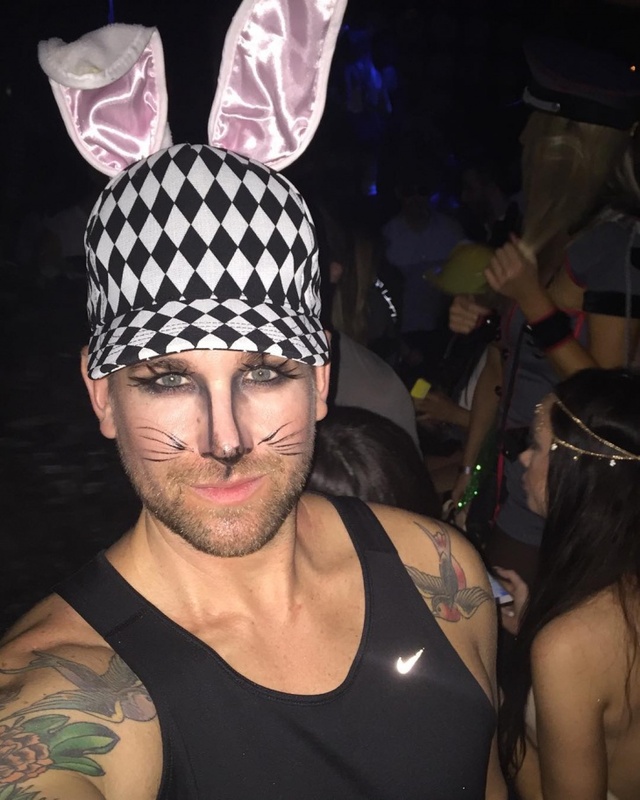 Take a closer look and you will see drawn bunny ears on the forehead. 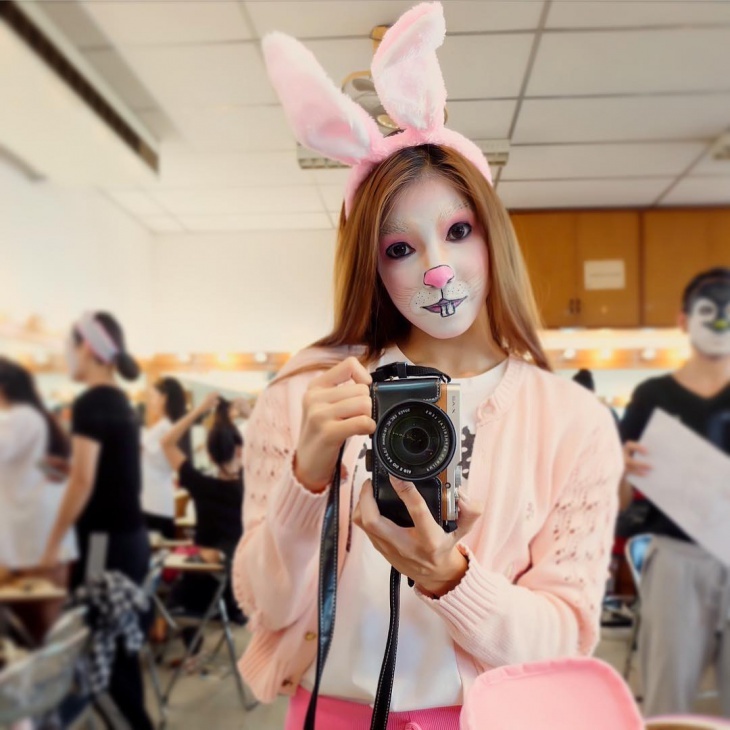 Speaking about rabbit makeup designs, it seems there is something for every face. Whatever you create of your face, just try to do it with your heart and you won’t make a mistake. There are simple rules to follow. 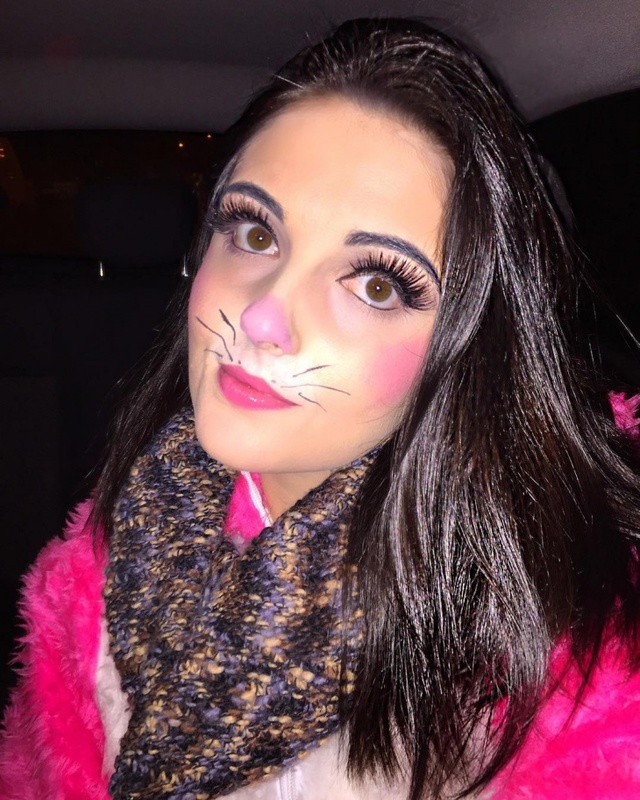 Outline sides of your nose with a liner of your choice, so it will look wider, pink mascara will emphasize your nose and white mascara to cover your eyebrows. Just ask Heidi Klum AKA Jessica Rabbit.